Each week, we ask five of our sportswriters five questions about Ohio athletics. Their answers may surprise you. This week, we talked to sports editor Alex Hider, basketball writers Bez Saciri and Jack Zink and women’s basketball writers Shelby Dermer and Zak Kolesar. After a disappointing loss in the Beef ‘O’Brady’s Bowl, what is the legacy that the class of 2014 will leave behind? Alex Hider: Anyone who has followed Ohio football for the past few decades will remember this class as the greatest to ever put on the Green & White. Before 2009, the Bobcats had only been to three bowl games in program history. This class reached five straight bowls, winning two of them, and accumulating the most wins of any class in program history. Unfortunately, to students who aren’t familiar with the Bobcats’ futile past, these seniors will always be remembered as the team that couldn’t get it done down the stretch. It’s all about perspective. Bez Saciri: I know that the finish to each of the last two Ohio football seasons did not go as planned, but this class of Ohio football players deserves high praise. Before Tyler Tettleton, Beau Blankenship and Donte Foster, among others, arrived at Ohio, the Bobcat football program did not have a single bowl win. Now, they have two. They also defeated Penn State at Happy Valley, which will never be forgotten by Bobcat fans. Jack Zink: This senior class has to go down as one of the best in Ohio history. Despite the disappointing year this year, their accomplishments over the course of four years is unmatched by any other senior class. Shelby Dermer: It leaves behind a legacy and a winning attitude to the Ohio University football program. After back to back bowl wins this team left it all out on the field and will inspire future Bobcats. Zak Kolesar: I actually think it’s a lot more bright than people may think with all of the senior, and record-setting, talent on the way out. Derrius Vick is a proven runner, so if he can work on arm strength and accuracy over the offseason, this team could perform well over expectations. Jim Christian is now 0-4 against Akron in his time at Ohio. What do the Bobcats need to do to be the Zips? Hider: They need to finish at home. 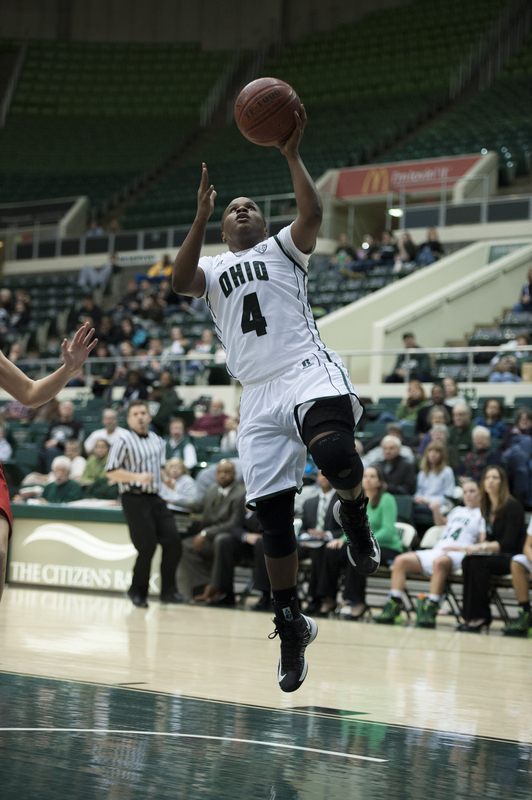 The Jan. 12 loss in the Convocation Center marked the second loss overtime loss to Akron in the past two seasons. In both games, the Bobcats had substantial leads late and failed to put the game away. Ohio has put itself in a hole, and will have a much harder time winning a rematch in the JAR (James A. Rhodes Arena in Akron). Saciri: In each of the four losses against Akron, the Bobcats had a chance to win. The bottom line is the team has not been able to close the deal at home. Akron has proved that it can play exceptional basketball, and Ohio needs to execute well at the end of the games. A team cannot be missing free throws and giving up open 3-pointers. Until the ‘Cats can fix those mistakes, a win against Akron will not happen. Zink: I don’t think it is something they can physically do, it’s more of a mental object they must overcome. They had the game in the bag when they played Akron this year, but kept letting Akron back in and finally Akron took over. Dermer: After shooting just 5-20 from three and being out rebounded against Akron, Ohio’s main concern would be Quincy Diggs the next time they matchup. Diggs put up nine points in the overtimes and led the Zips with 20 points, and was second on the team in rebounds with seven. Kolesar: I don’t think it’s something that’s in his control at this point. The Zips were the better team last year, as they made the NCAA tournament, and the loss of Ricardo Johnson has sent Ohio team reeling. I thought had a lot to do with Ohio’s loss against Akron this season. The basketball team has dubbed itself “The Wolfpack.” Can you think of a better name for this team? 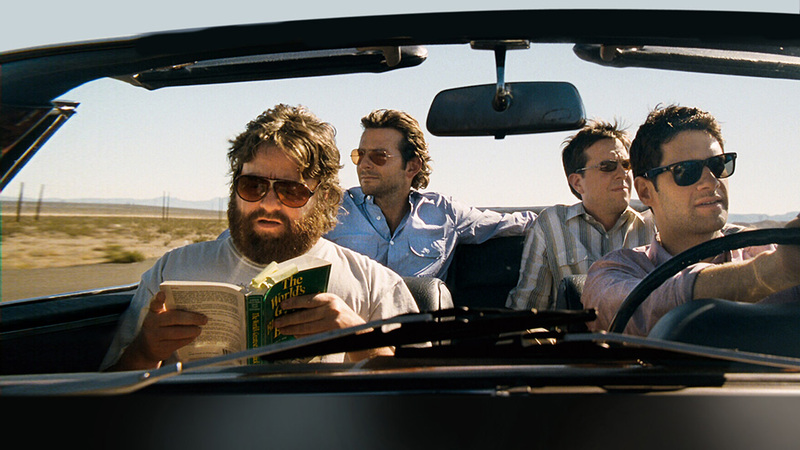 Hider: Whenever I hear any player say the word “Wolfpack,” I get flashes in my head of Zach Galifianakis in The Hangover. If I had to pick characters, Ricardo Johnson would be Doug (“missing” after his injury), Stevie Taylor would Phil (king of cool and leader of the pack), Nick Kellogg would be Stu (the good kid who can go on a mean streak) and Maurice Ndour would be Alan (the newcomer who steals the show). Saciri: No, I think it’s a good nickname for them. The team has come together in all of its dark periods, which includes the loss of senior forward Ricardo Johnson. If the Bobcats can continue to do that, results will follow. Zink: I like the nickname they have now. This is a very close group of players and this nickname fits what they are very well. Dermer: The BOBpack (ba dum teee on drums). I’ll be here all week. Kolesar: How about “Christian’s Cross Fits?” This is a pretty jumbled and diverse team–in looks and skill sets–and I love alliterations, so why not? Early in conference play, women’s basketball sits in a tie for third place, but have been graced with an easy schedule. What do they need to do to beat the top dogs? Hider: Play more consistently. The Bobcats have scored over 80 points three times this season. They’ve also scored less than 60 points five times. This may be due to the opposition and the large talent disparity in women’s college basketball, but this team has the ability to score the basketball. If they can consistently score 70 points per season, they will do a lot better for themselves. Saciri: I’m not sure the Ohio women’s basketball team can compete with the tougher teams in the Mid-American Conference. Head coach Bob Boldon has done a great job in his first season. If they can record a few more wins before the season ends, I think many people will consider this season a success. Zink: Just play like they have and have confidence in every game. They can’t let the fact they have played an easy schedule determine how good they actually are. Dermer: The Bobcats are hovering around .500 right now with an 8-9 record. When it comes down too it, you can only play the teams on your schedule, and facing a top dog like Louisville doesn’t sound like an easy schedule. The real time to shine is in MAC play and Ohio has struggled as of late. After starting 3-1 they lost their last two matchups at home against Ball State and Akron by an average of 20 points. Their MAC play needs improvement. Kolesar: They need Mariah Byard back, and fast. The offense has really sputtered as of late without her in the lineup, putting most of the perimeter load on sophomore Kiyanna Black. Once Byard comes back, I think this team actually stands a chance at faring well in the MAC East. Best story from winter break? Hider: That would be sitting on the deck of a cruise ship, with a movie playing on a big screen, a burger and a beer in front of me and the Caribbean sun overhead. Do you need anything else? Saciri: I was able to write a couple of previews and recaps on the Ohio men’s basketball team, and I also wrote a few stories about the 2014 World Cup for the other organization for which I write. I am interested to see what happens this summer. Zink: I’d have to say the A-Rod suspension and all the aftermath of that. As someone who is a baseball lifer, seeing a pathologically liar, who damaged the game of baseball, get what he deserves is great for people to see who A-Rod really is as a person. Dermer: I shelled out $150 for two tickets the morning of the Divisional Playoff game to watch the Bengals come out and look like a POP Warner flag football B team. SHAKING MY HEAD. Kolesar: I got to cover a lot of Cleveland Cavaliers games over break, so basketball pretty much consumed my whole month of rest from school. I didn’t mind it one bit.